Please join us in welcoming Charlotte A.C. Bouvier, P.E., to our firm as a Senior Structural Engineer and Project Manager in the Structural Building Group in our Portsmouth office. 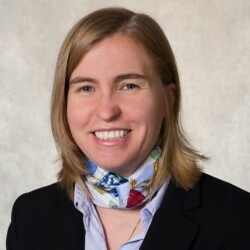 Charlotte earned her Bachelor of Science in Civil Engineering from Tufts University and her Master of Engineering degree, concentrating in High Performance Structures, from MIT. She comes to Hoyle, Tanner with 12 years of experience in the design of new buildings as well as the evaluation and rehabilitation of existing buildings. She is a registered Professional Engineer in New Hampshire, Massachusetts, Vermont, and five other states, as well as in Nova Scotia, Canada. Charlotte has a broad range of experience designing or rehabilitating steel, concrete, and wood structures that required her to coordinated with other design consultants and provide construction administration services. She has been involved in numerous project-related presentations and publications, including co-writing a paper for the 2015 Structural Congress. She currently serves as the co-chair of Women in Design (WiD), a subcommittee of the Boston Society of Architect (BSA), with the mission to celebrate and encourage the success and leadership of women in the design community. You can welcome her at 603-431-2520 x19 or via email at cbouvier@hoyletanner.com.